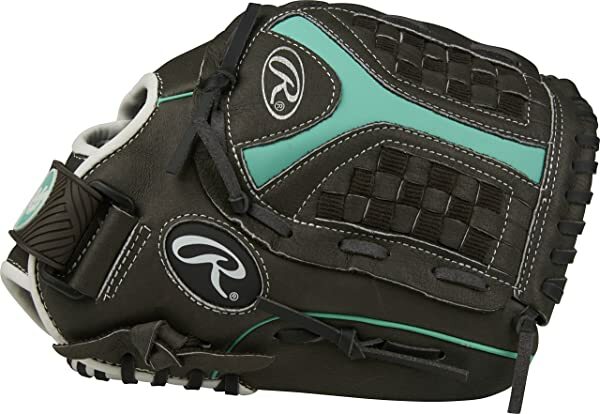 Female softball players tend to have a harder time finding the right glove because many companies seem to focus more on making ones for males. 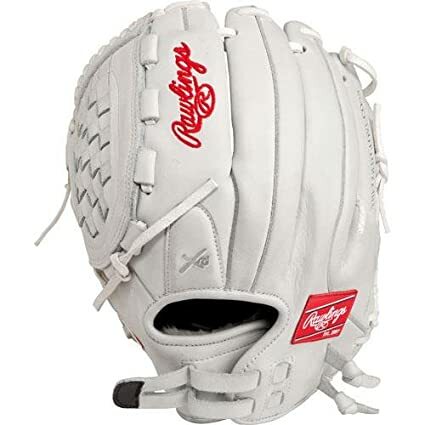 However, the Rawlings Shut Out has a specific design to suit female players. It features a full grain leather outer shell and all leather laces for durability. 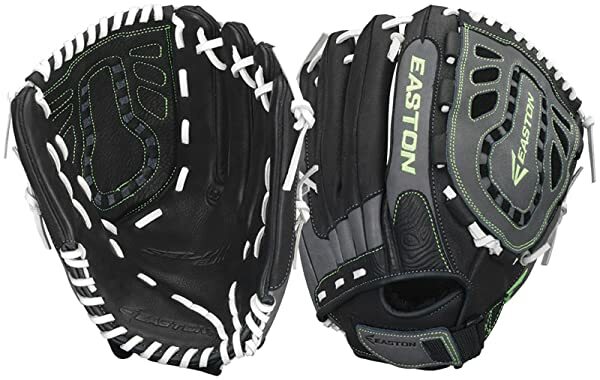 Also, the glove has a closed basket web, non-slip and adjustable strap, finger shift design and cushioned palms to protect the hand from ball impact. Material: It features a full grain and oil-treated leather shell that makes it very durable. Also, the laces are all leather to make them sturdy and long lasting. Finger Shift: Rawlings uses a finger shift design to reduce sting. It entails using extra materials on the outside section of the index finger to allow it to move back and away from hard hits. Closed Basket Web: This design makes it ideal for use in various positions and also make it easier for the player to hide the ball. Strap: It is easy to get a secure and custom fit with this glove thanks to the adjustable and non-slip pull back strap. Break-In: The factory does 80% of the break-in, and so the glove feels game ready when you get it, and you will only need to do 20% break-in. Available for both left and right-hand throws. It has a high-quality leather construction for maximum durability. Perfectly-balanced patterns will provide an improved level of comfort and control. This glove also comes in three different sizes. The players will need to do only 20% of the break-in. 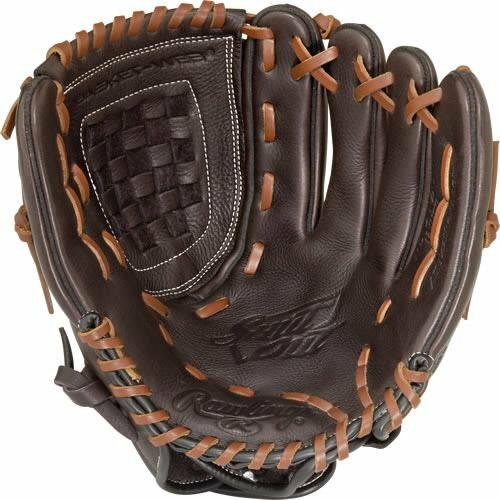 All leather lacing not only enhances durability but also ensures that the glove retains its shape. The cushioned palm pad will help to reduce the ball impact. The small hand opening will not work well for female players with larger hands. Although the all-leather laces are sturdy and durable, they have a lot of extra materials that hang all over, and you might have to trim them. The finger shifting design on the index finger can be distracting to some players. 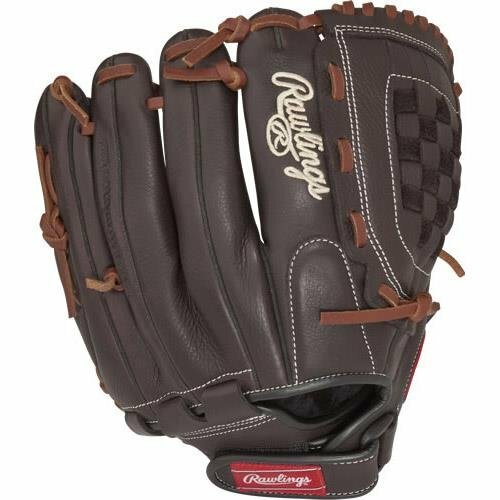 If you are looking for something with a sleek or more stylish look, this glove might not impress you. 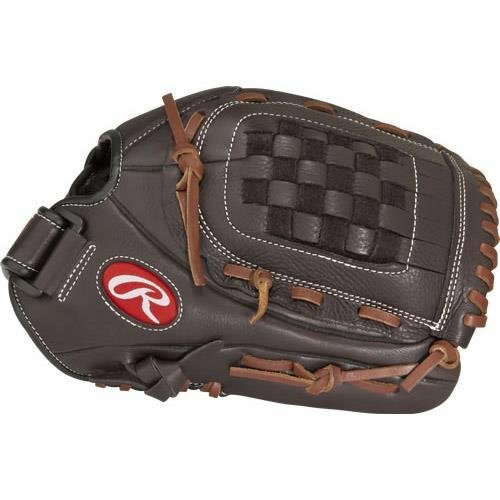 Rawlings makes some of the best selling softball gloves for both men and women, and so you can always trust them to have something that will impress you. 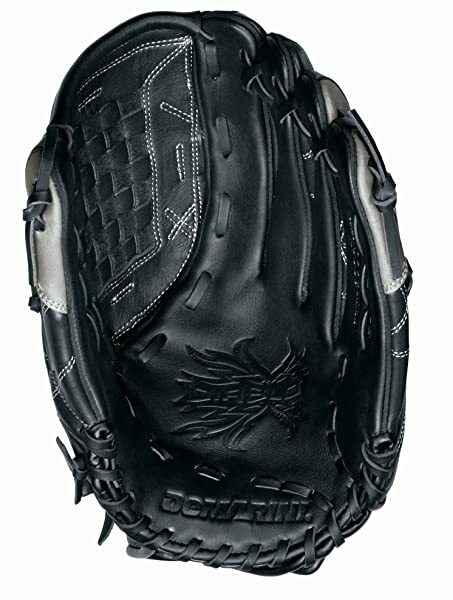 And so even before you use this glove you should be confident that it is a high-quality product. But, the high quality leather outer shell and laces are what make it stand out and ensure that you get to use it for many seasons. However, you will also like the fact that players only need to do 20% of the break-in and the smaller hand opening and perfectly-balanced patterns provide maximum comfort and control for the female players. Even as you buy this glove, you cannot overlook the few demerits such as the fact that the hand opening might not be ideal for ladies with large hands and the fact that the excess lace materials can be annoying. However, even if you consider these few shortcomings, this is still a top-notch glove that is worth trying out.